For years I tried to make my own sourdough starter. I mixed a wide variety of starches with water and warmth, gave them loads of love, and all I got was a jar of funky smelling, mouldy goop. Eventually I gave up, and used a spoonful of a friend’s active sourdough starter to begin my own (see here if you want to know how to use this “sharing with your friends” method), but I didn’t quite let go of the desire to achieve a healthy sourdough starter from scratch. Then I met Andrew, a man fifth generation in a line of traditional German sourdough bakers. I could say I met Andrew in a small underground bakery in a back alleyway of Berlin, but I actually met him at the local grocery store in the small coastal town where we grew up in Australia. Still beautiful, but not quite as exotic-sounding. It was there, amidst the tomatoes and the roast chickens, that he revealed the very simple secrets of making one’s own sourdough starter. It’s all in the flour. 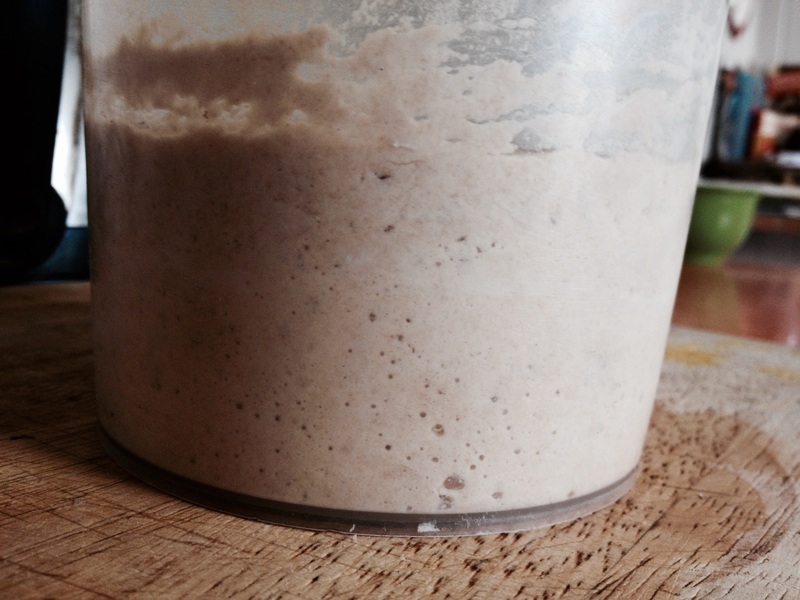 For your first sourdough starter, don’t experiment with any fancy flours; get a strong, high protein flour (wheat or spelt) from organically or biodynamically grown grain. All you need is this and some good, clean water – filtered or spring water. In a jar or container, combine 100 g of flour with 120 mL of water (room temperature or slightly warm water, definitely not hot). 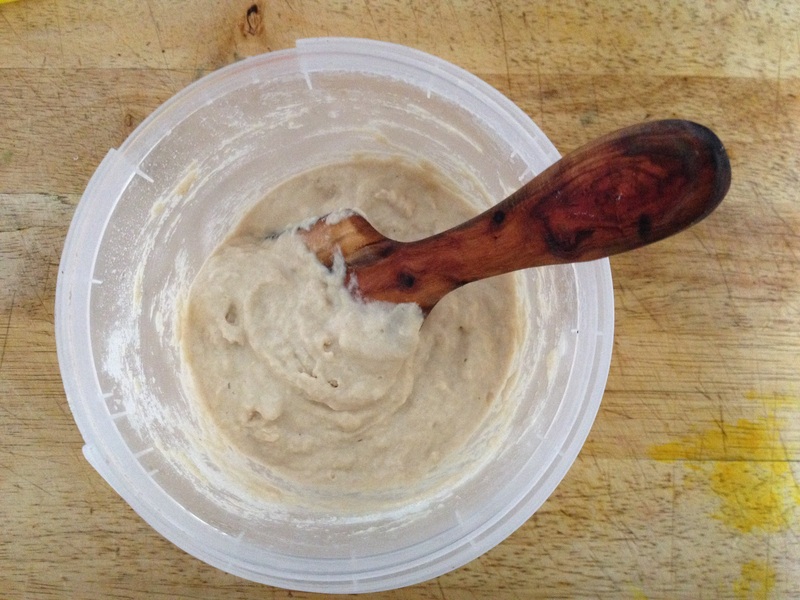 Mix with a wooden spoon (such as this gorgeous one handmade by my partner) to form a paste-like dough. Cover with a cloth or with the lid slightly ajar (to allow air in, but not bugs) and leave in a warm place for one day. 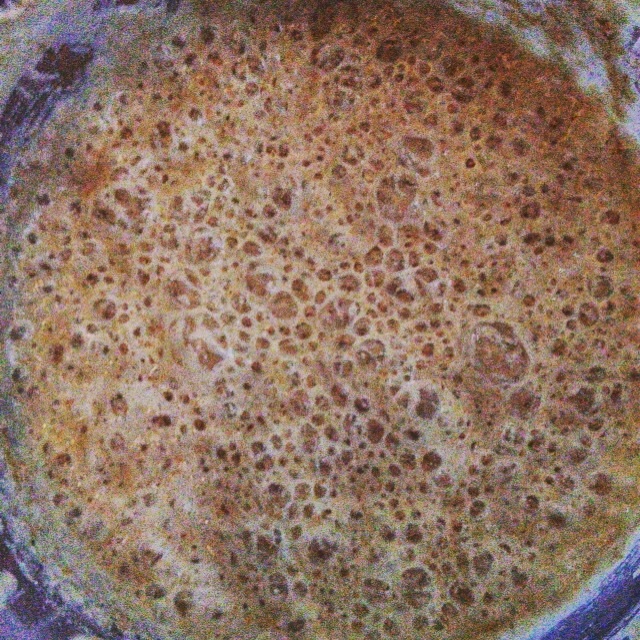 After one day, the dough should start to go a bit bubbly. 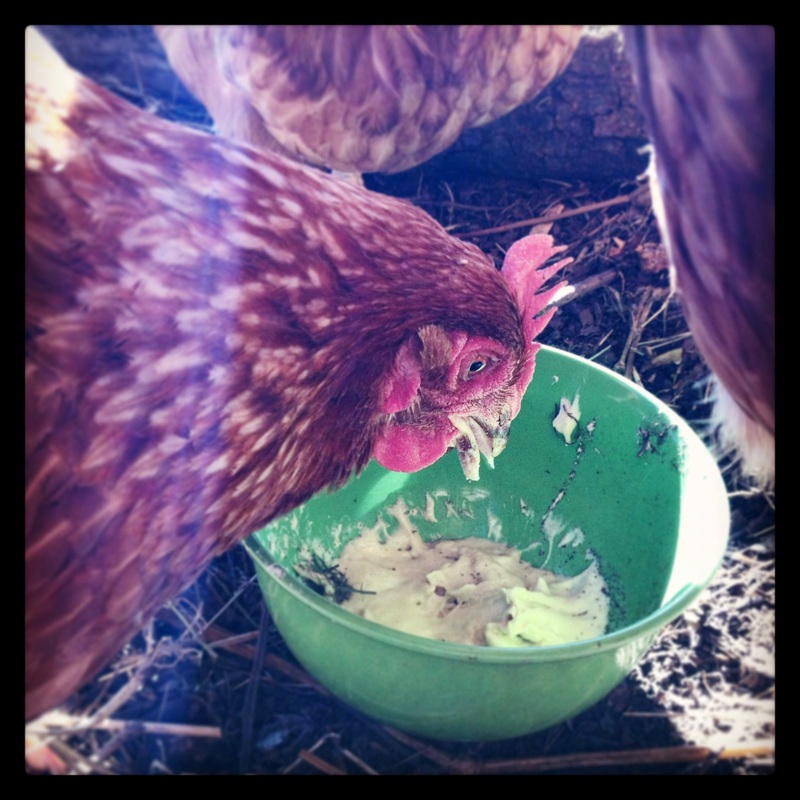 Divide it in half, keeping one half and composting the other or feeding it to your chickens (my chooks go wild for sourdough starter!). To the half you kept, add another 100 g of flour and 120 mL of water, mix, cover, and leave in a warm place for another day. Repeat this for four days. After four days, your starter should be nice and active (bubbly), and it should have a pleasant cheese/wine smell. At this point, it’s ready to use! Put it in a sealed jar or container in the fridge until you’re ready to use it for sourdough pancakes, bread baking, pizza bases, muffins, or any other fun sourdough creations.